A collaboration between NYC Service and New York Cares. 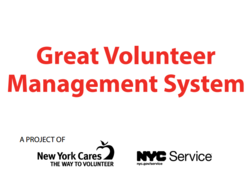 Volunteer management takes an investment of time and energy and requires systems and processes to ensure volunteers are well supervised and used strategically. 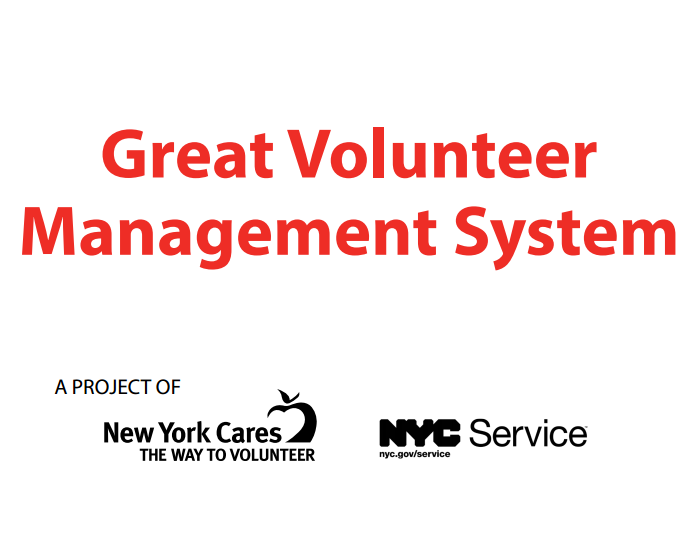 To continue supporting your current frameworks for volunteer management, NYC Service and New York Cares have teamed up to present you with best practices and tips on essential volunteer management topics in this second edition of The Great Volunteer Management System (GVMS). Download your copy today!